O God, through mortification of the body and preaching of the faith, you raised the blessed Louis, your confessor, to the glory of the saints; grant that what we profess by faith we may ever fulfill by works of piety. Let us pray through Saint Louis Bertrand’s intercession for the Church in the Americas and the Islands. Speaking always with you or about you, O God, beginning all his actions in contemplation, he advanced in wisdom. He brought many to Christ by his life and teaching, he devoted himself without reserve to the building up the Church, the body of Christ. 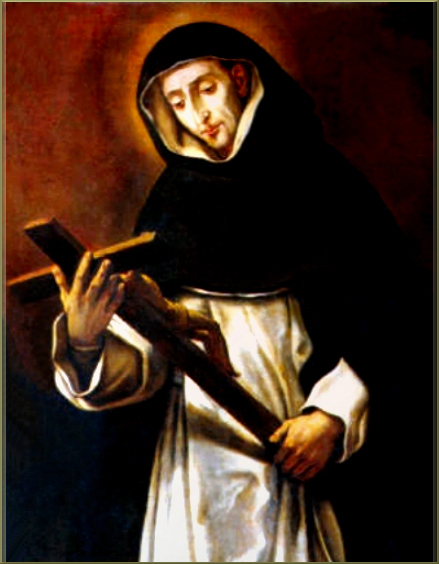 If you have time, you’ll want to read The Life of Saint Dominic from the Vitae Fratrum. Also, there is last year’s post here. 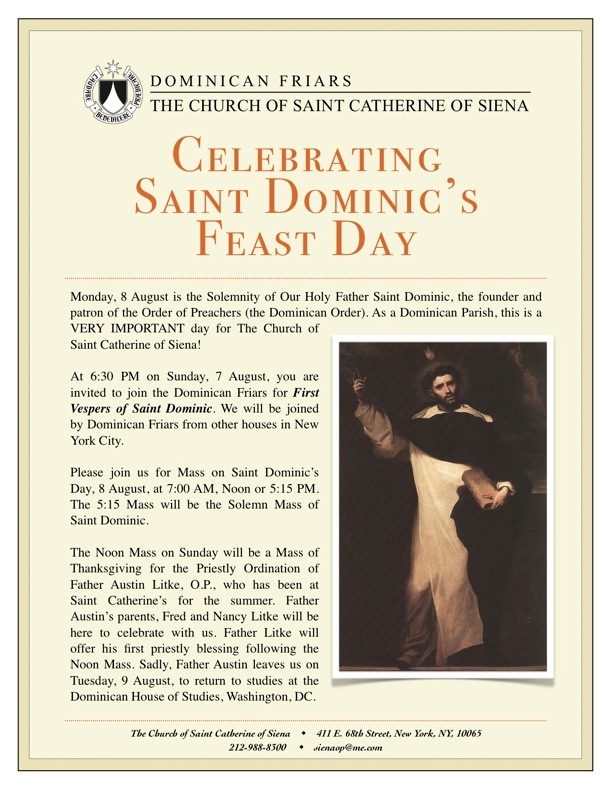 Saint Dominic, model of the New Evangelization, pray for us! God of justice and truth, you made Blessed Constantius renowned for his unceasing prayer and his zeal for peace. and reach everlasting peace and glory. Here the liturgical memorial of a Dominican friar, priest and prior, Constantius (Bernocchi) of Fabriano (1410-1481), is observed. He was a 15th century Italian Dominican whose reputation, even as a child, led sinners to reconciliation with Christ and the Church. 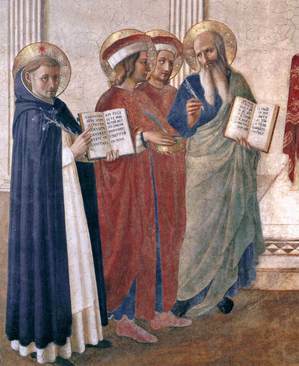 His spiritual fathers included Blesseds John Dominici, Laurence of Ripafratta and Florence’s Saint Antoninus. Constantius was a man of many austerities, prayer and service to the least. Constantius’ work as the elected head of several priories was to restore the regular life of the Dominican friars. His first miracle was the cure of his sister but always a peacemaker. Father Constantius was beatified in 1811 by Pope Pius VII. keep Christ ever in our thoughts and in the love of our hearts. Christopher (early 15th-c.-1484) was known among his Dominican brothers as “holy and abstemious, humble and studious” and having all the ordinary virtues of a good Christian man. His apostolic work included the areas of Milan and Liguria where he drew many souls to Christ due his excellence in preaching. Pope Pius IX beatified Christopher in 1875. From an antiphon from First Vespers for Blessed Christopher we pray: Strengthen by holy intercession, O Christopher, confessor of the Lord, those here present, have we who are burdened with the weight of our offenses may be relieved by the glory of thy blessedness, and may by thy guidance attain eternal rewards.